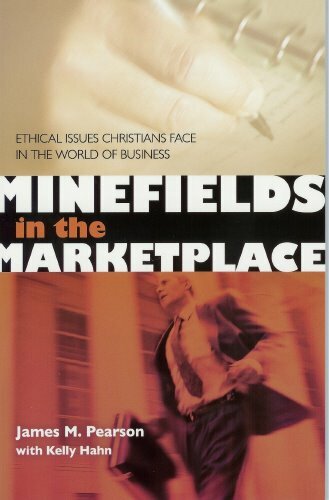 A compelling new book entitled Minefields in the Marketplace: Ethical Issues Christians Face in the World of Business has just been released by BMH Books of Winona Lake, Indiana. 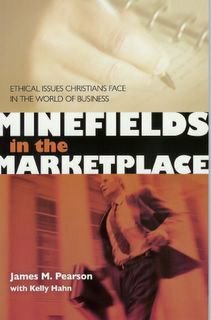 Written by James Pearson, a Grace Theological Seminary graduate who had a successful career in sales and marketing before entering the pastorate, the book identifies six minefields in which many Christian businessmen and businesswomen get caught. Thoroughly biblical, yet reality-based, the six issues addressed in the 116-page paperback include ethical compromise, materialism, dealing with power, sexual temptation, neglected relationships, and spiritual stagnation. Several pages of thoughtful discussion questions for each chapter make this an ideal vehicle for small-group study or as a text for Sunday School classes and Adult Bible Fellowships. Minefields in the Marketplace retails for $10.99, with quantity discounts available for those wishing to purchase larger numbers to use as texts or giveaways. Log on to www.bmhbooks.com or call (toll-free) 1-800-348-2756 to order. The ISBN number is 0884693023.